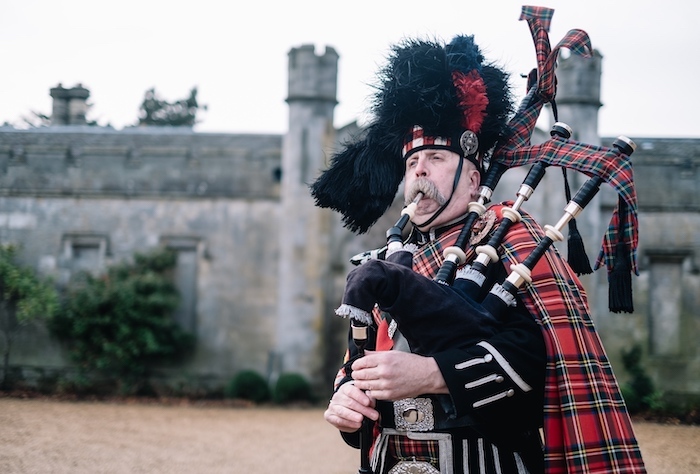 A Scotland "Outlander" wedding package at Dundas Castle transports guests into an archaic world of historical and fictional references every fan of the series can appreciate. 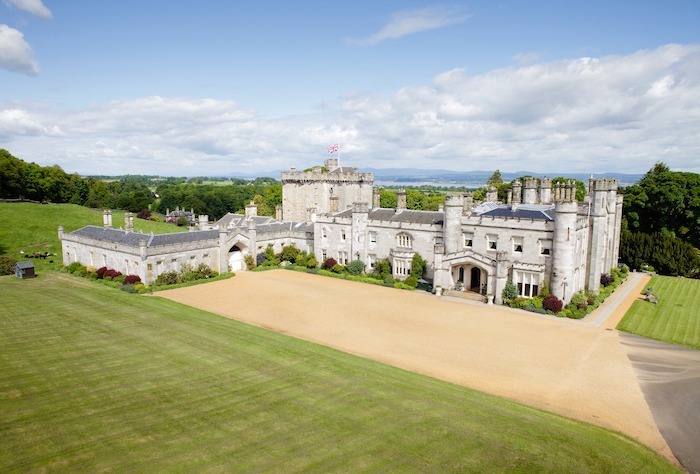 This breathtaking castle allows couples to say their vows and handfast as newlyweds did in the 16th and 17th centuries on a secluded 400 acre estate only 25 minutes from Edinburgh. 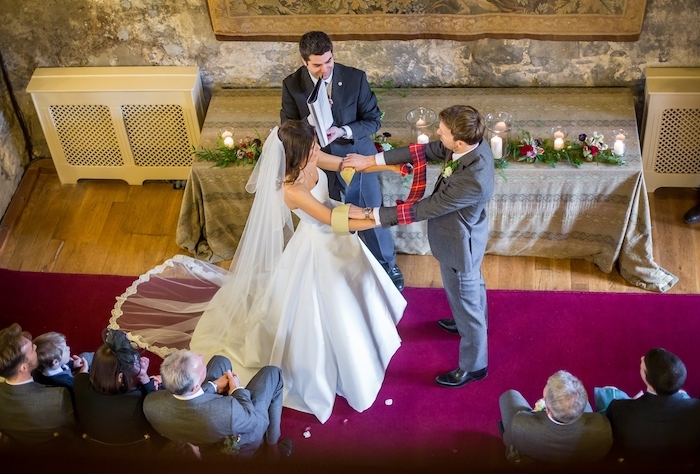 The ceremony, which can be fully or partly in Gaelic, takes place in a historic candle-lit room, filled with small "Outlander" and traditional Scottish details, including a Scottish piper, tartan decorations and a medieval banquet. Additionally, those who are fans of the book and television series will love the inclusion of a specially crafted replica of Claire Randall’s ring. An 18th century inspired breakfast banquet is also included in this package, and can be enjoyed in the castle’s main house or, for a more intimate, authentic and unique experience, in the medieval Stag Chamber. “It is an honour for our home to be part of such a special day, and when Dundas is chosen by a couple, the castle also becomes their home for the duration; the 17 bedrooms, Library, Drawing Room, Billiard Room and the rest of the house are theirs to share with family and friends,” says Stewart-Clark. This luxurious castle is complete with elegant chandeliers, roaring fireplaces, plush sofas and a stunning staircase. 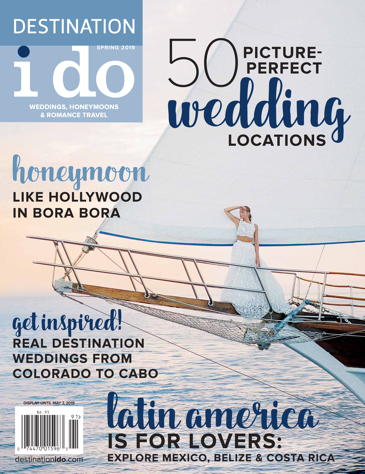 Along with five-star service, this wedding package offers a comfortable and genuine celebration tied together with impressive Scottish theming any "Outlander" fan will instantly recognize. Fans of the show and books will enjoy having the option to include a tasting of Claire and Jamie’s whisky to their celebration, as well as the addition of a ceilidh (complete with traditional Scottish folk music, singing and dancing), fireworks and a dramatic ‘Beating of the Retreat’ ceremony. This memorable, once-in-a-lifetime experience is available starting at £11,500. Photos courtesey of (in order of appearance): Harper Scott Photography (1st), Rankine Photography (2nd), Ryan White Photography (3rd), Duke Photography (4th) & First Light Photography (5th). Just north of Puerto Vallarta on Banderas Bay is the exquisite Grand Velas. Our traveling editors pick their must-have items! 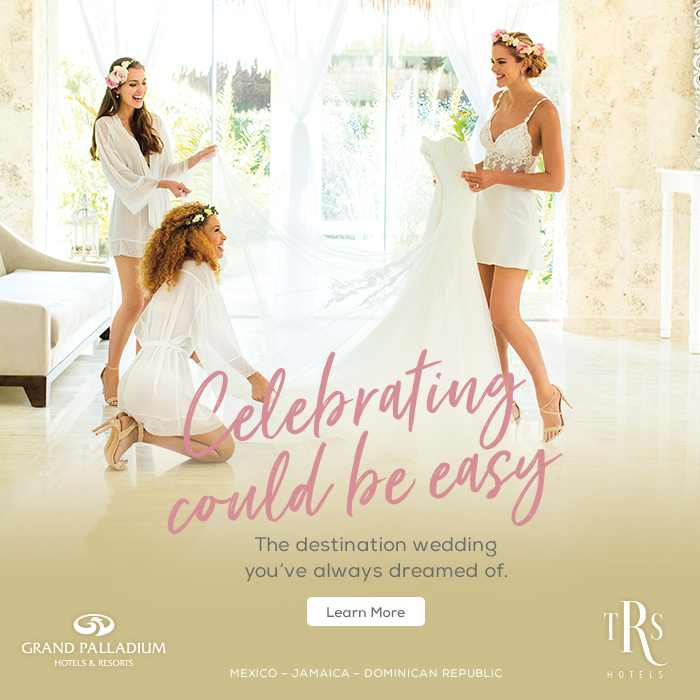 The Caribbean offers a palette of tropical options for all tastes. New York: as many times as I’ve been there, adrenaline hits my bloodstream like a double espresso: discovery, innovation and possibilities await. There are a few things in life which most people love unconditionally: good food, family and golf. Welcome to our newsletter !